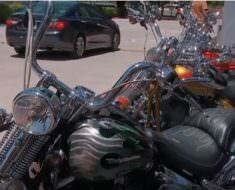 Over 45,000 motorcycle thefts are reported each year in the U.S. 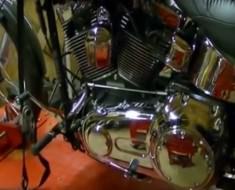 There are many things a motorcycle owner can do to prevent his bike from being stolen. 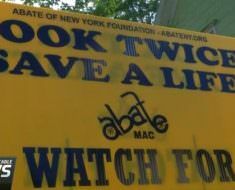 Taking certain steps might cut down the number of these thefts. A thief always chooses the low-hanging fruit, which is, in this case, the motorcycle easiest to steal with the lowest of risk. 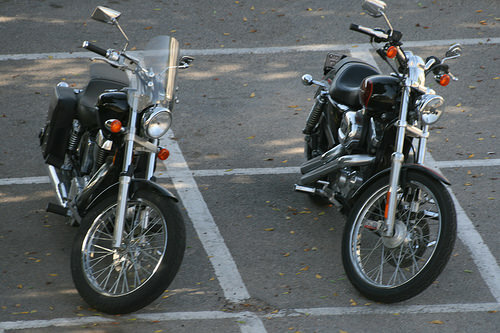 If you make your motorcycle harder to steal, if you make sure it takes long time and hard effort to steal it, the thief will most likely decide to steal the one parked next to yours. Never assume your motorcycle is safe just because it’s parked in a nice neighborhood, a garage, or a gated parking lot. Although these are far better than being parked on the street, they are, in fact, the places thieves love to visit when they go “shopping” for motorcycles. The other trick many suggest, including motorcycle insurance companies, is to always cover a motorcycle when you’re not riding it. Covers are a deterrent that works from far, before a thief even gets near your bike. They need to approach it and look under the cover to determine if your bike is worth stealing – and that is a risk on itself to a thief. Don’t use bicycle chains – they won’t stop an experienced thief. The only chains that might be a stumbling block for someone trying to steal a bike are ones designed with them in mind. So get yourself a motorcycle chain. They are typically at least 14mm thick and would require a powerful set of bolt cutters to destroy. They come with their own lock that’s more durable than the majority of locks found in retail stores. Some people use them with U-locks for an added level of security. While a standard lock or chain can be cut and removed quickly, a U-lock is shaped so that, when secured properly, it must be cut in two places to be removed. Now, one cut versus two might not seem like much of a difference, but it is. To a thief, that means twice the time and twice as much work to steal a motorcycle. 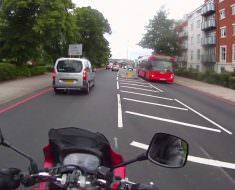 Almost every car has an audible alarm system today, but motorcycles don’t. Installing one is a fine way of protecting your bike from thieves. The bike doesn’t have to be damaged for the alarm system to activate. There is a variety of systems you can choose from. Some will sound if a bike is knocked over, while others will go off if anyone sits on the bike or even stands it upright. Some alarm systems are very sophisticated and they will activate when someone other than the person in possession of the key is near it. 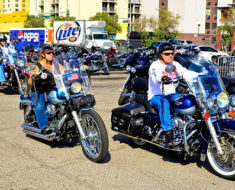 Some companies sell GPS tracking systems for motorcycles so that the law enforcement, along with the owners can locate them. A professional thief might be able to find and disable the device, but at least he’d have to spend time looking for it and disabling it. Disabling devices are a great fail-safe when everything else falls short. Motorcycles with disabling devices will turn themselves off if tampered with or after a certain period of time without the key present.